Which Generator is Right for You? Generators are one of the essential fail-safes every home needs. They are great for sudden power outages and do a good job of ensuring that essential electrical appliances keep running until power is restored. However, there are multiple different kinds of generators for multiple applications, and its important for you to select a suitable generator for your home. Too small a generator, and you may not have enough power to fulfill your electrical needs. Too large a generator, and you may end up paying more than what you will end up using, which hurts on your return for your money. Therefore to help you make an informed decision, we thought we’d put together this list of recommendations depending on your situation. If power outages occur frequently within your home, it’s like due to storms and frequent bad weather. Furthermore, these outages are often prolonged, and you may have to wait for a few hours to get electricity back. This means you will have more power needs to keep it going for longer. 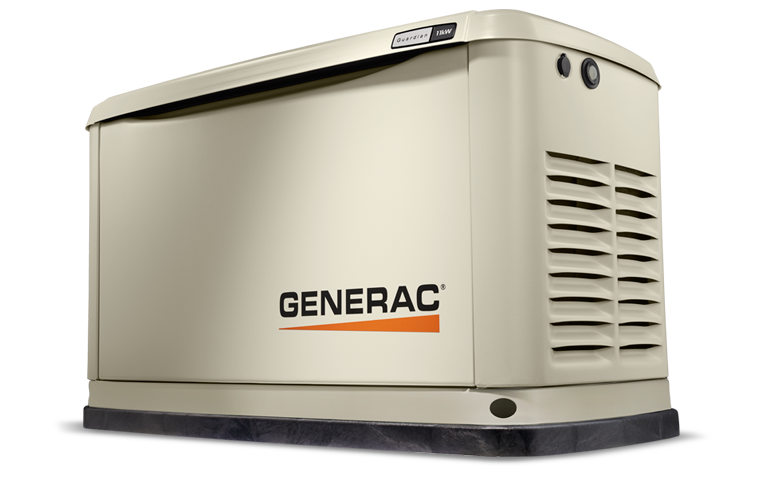 For this situation, we suggest a larger home backup generator, such as something from Generac’s Guardian line for generators. These generators are built to provide large energy outputs over long periods of time, and startup with a minute of a power outage. Many of the units come with WiFi connection as well, allowing you to remotely check up on the battery levels and receive maintenance alerts. If you suffer frequent power outages, then the consistent use of this generator justifies its price. Perhaps your outages are not that frequent, but you can still expect them to happen a few times a year. Still, that may not be enough to justify the investment in a large home backup generator. You will want something that provides enough power to keep things going for some period of time, but at a lower cost. For that, we recommend a model from Generac’s GP line of generators that generates between 3500-7500 kW of power. These generators are small, efficient, and provide enough energy to run all of your home’s most essential appliances, plus a few more. The higher up you go, the greater the power output and the more efficient the generator. If you have difficulty deciding on a generator best suited to the size and priorities of your home, feel free to ask us for advice. You are lucky enough to live in an area that has a great electrical infrastructure and is devoid of strong storms for the most part. Still, it’s best to be on the safe side, and have a contingency in place so you can have peace of mind. A smaller portable generator from Generac that has 3500 kW or less will do to keep the most basic appliances running, such as your refrigerator and space heater. Better yet, they provide the most bang for their buck through their versatility, as they are small enough to put in the back of a truck, and run a TV and cooktop at your next tailgate or camping excursion. As you can see, there are plenty of different kinds of generators and inverters to meet your needs. From frequent energy shortages to a just-in-case countermeasure, there is something for everyone. If you are interested in installing this extra layer of protection into your home, contact us or fill out an inquiry form. We’d love to help you!